Remember that old knife a retired LAPD officer-turned security-guard kept for over 10 years after getting it from a construction worker who found it on O.J. Simpson’s old property in 2001? The knife that was only recently turned over to cops conveniently just as The People v. O.J. Simpson: American Crime Story was in the middle of airing Tuesdays on FX? Well, it’s probably not the murder weapon. 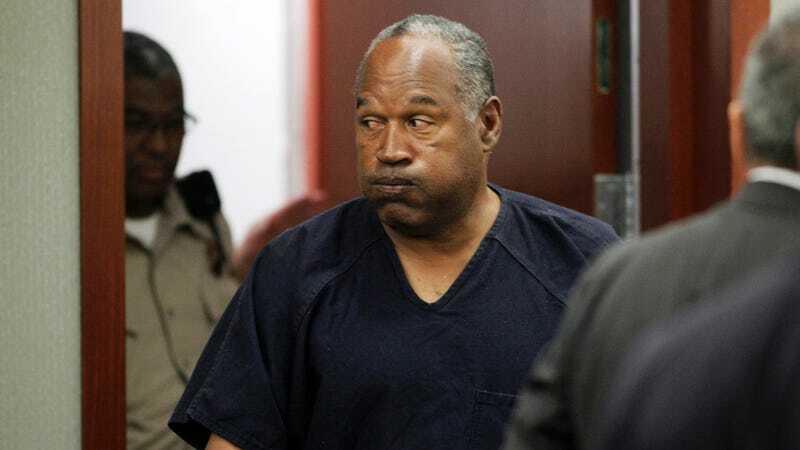 The official said the knife is commonly used among gardeners and was too small to make the wounds that killed Nicole Brown Simpson and Ronald Goldman. The official was not authorized to publicly discuss the investigation and spoke only on condition of anonymity. Another officer, Ricardo Hernandez, told People, “We can’t say for sure that it is or it isn’t” the murder weapon. Oh. So we know nothing. Results won’t be final until after testing on the knife (for fingerprints and blood) is complete, which reportedly takes up to three weeks. In the meantime, we’ll be watching The People v. O.J. Simpson: American Crime Story every Tuesday night at 10 p.m. on FX, as will apparently a lot of other people: ratings for the show are up since the knife’s discovery was reported.